The time has come as we were all just given the first sneak peek of Marvel Studios’ AVENGERS: INFINITY WAR through a teaser poster and trailer. Lucky fans received an exclusive first look of the film at the D23 Expo, and now the rest of the world was let in on the secret. 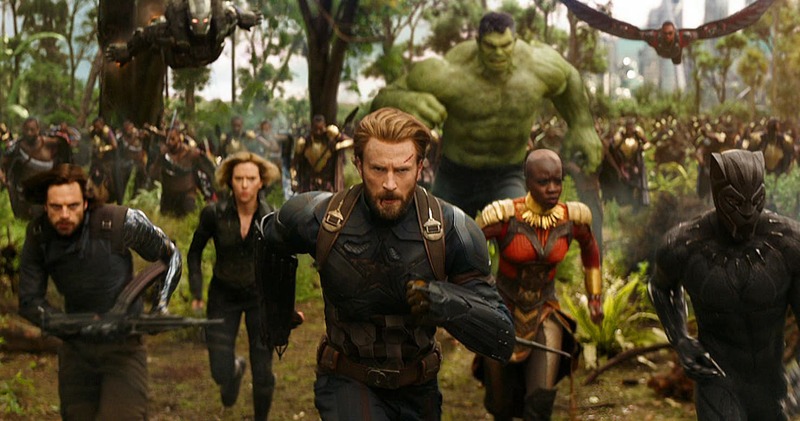 From the looks of the trailer, it seems the Avengers have met their biggest challenge yet in protecting the world from Thanos. AVENGERS: INFINITY WAR opens in theaters everywhere May 4th, 2018! Did you watch the teaser trailer? Who are you most excited to see? Make sure to share your thoughts in the comment section below! I like the trailer, but Im a little worried. The Marvel movies have really been feeling like cookie cutter and there are way too many people in it. But they might pull it off….. I hope pay or wait does an screening contest for this movie!! Cool! I am looking forward to seeing this! They are now starting to tie the movies together and forming a deeper and broader plots! It encourages me to pay closer attention of sublities to guess where the plot will lead to next! I am so excited about this movie! I can’t wait to see it. Really need to find out why the hulk is fighting spider-man!!! All these DC vs Marvel movies debates are getting out of control!!! I simply want to see a good film no matter which franchise it is and this looks like this one will fit the bill. I love how they basically promoted BP’s upcoming solo film by showing a lot of BP amd Wakanda in this trailer. It’s working because a lot of people are talking about the Wakanda scenes. The HYPE is real. This movie will be lit!!!! I can’t wait!!! I’m curious to see how this movie play out. Hope it’s not overrated! I’m all in in! Looks like it’ll be another great installment. When I saw the trailer for Infinity War. I was very pleased. The drama and action feels real. The villian in Infinity War is very powerful. It looks like someone will die in this movie. I am looking forward to it. I can’t wait to watch this film! I’ve heard nothing but great things. There are so many action hero movies out, making it hard for me to keep up. Glad for this site tho… helps me put things in order of importance of what I’ll spend my money on or wait to stream from home. I’m surprised that they are going to try and close everything out in one movie, instead of 2 parts like Potter and Hunger Games…looking forward to it! This is gonna be bananas. I’m so hype!